The final competition of any industry is management. The key of morden enterprise' high competitiveness is to make lean production, improve efficiency, assure quality and optimize or reduce cost. The target of TPM is 0 accident, 0 defect, 0 breakdown. 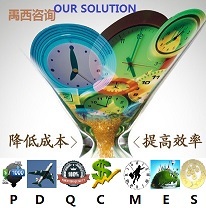 TPM (Total productive maintenance), the best certificate of which is WCM (world class management), is the eternal chasing of morden manufacturing industry. Many enterprises, who want to be excellent, take it as the secret weapon to satisfy the customer by optimizing capacity, delivery, quality, cost, morale and environment. Converting inputs into outputs is defined as producing or manufacturing. Handling products usually invoilves three units including marketing, financial acting and operating in which marketing supplys the demands of products, financial acting processes the value streams and operating add value to the final products. So 1-2% cost saving in operations can produce 5-20% increase in net profit according the statistics from American Business. The ultimate competitiveness of product comes from the eternal excellence of operation and management. Companies perceived as producing products of poor quality have either failed or are struggling for survival, while those recognized for quality have generally flourished. The consumers who buy products with good quality are more loyal than those who buy based on price and always change to competitors' products with lower price. We can also find that producers with good quality have lower cost because of using advanced management method to avoid quality loss caused cost. 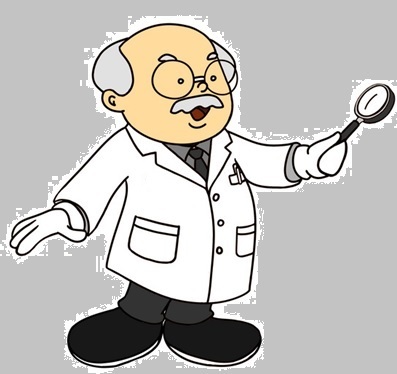 The approaches of Deming, Juran, Shingo and others actually support each other producing total quality management (TQM) which deploys quality management in all crossed departments but not only quality department, in every area of process but not the end products and by every personnel but not only quality people. 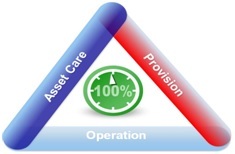 What is Asset Management ? Through systematic asset providing, caring and operating, optimise the life cycle of assets to assure the competitiveness of one enterprise. What is the secrets of success? How can we maintain a good interpersonal relationship? How to know each other and build the network? When we are born, the first thing is to conquer stavation and then to search for respect and socilization. The third need is to be appreaciated by society. The evolution of human value and need is the civilization. Civilization is to use your recognized value to attract, satisfy and respect others. Articles with wisdom tell true meaning of life and work, share the philosophy of success and happiness. It’ hard, now, to find heroes who seem motivated, in some deep and cosmic way, by something more than themselves. It’s hard not to imagine that many of the cultural figures we’re meant to look to for inspiration-sports stars, movie stars, writers, business leaders-will one day end up as characters on reality TV.